﻿ Hexagonal Mesh Shape Rabbit Netting - Anping County Zhuoda Hardware Mesh Co., Ltd.
Made using Hot-dipped Galvanized wire. 31mm hexagonal holes.The perfect and recommended size for rabbit protection. Our rabbit netting is made from wire which is hot dipped galvanized. The 19 gauge is suitable for most applications. We do stock a Heavyweight to BSEN Standard which will give added protection against damage by foxes. 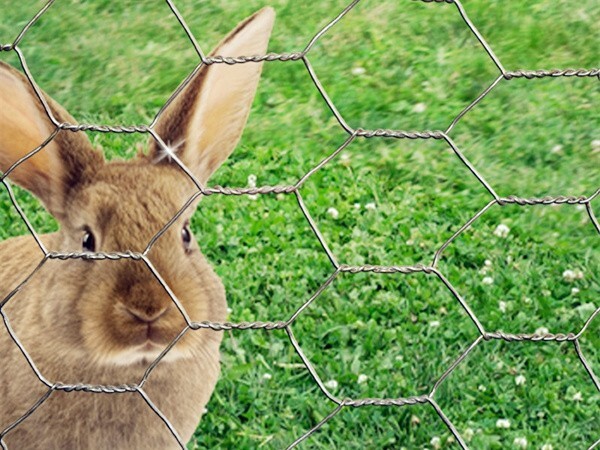 Rabbit netting is best installed using a 2mm or 2.5mm line wire top and bottom. Posts should be at 2.5m intervals. Bury around 150mm of netting around 50mm deep at rightangles to the fence, forming an "L" shape in the direction of the rabbits.